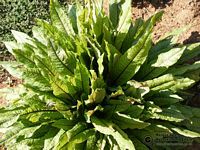 Rosette forming plant with a basal clump of sword shaped leaves that are veined in deep striking red. Tiny, star-shaped flowers in summer followed by reddish brown fruit. Remove flower stalks to prevent self-seeding and to promote bushy leaf growth. Cut back in spring to promote new growth. Prefer moist soil and full sun. Can grow as an aquatic. 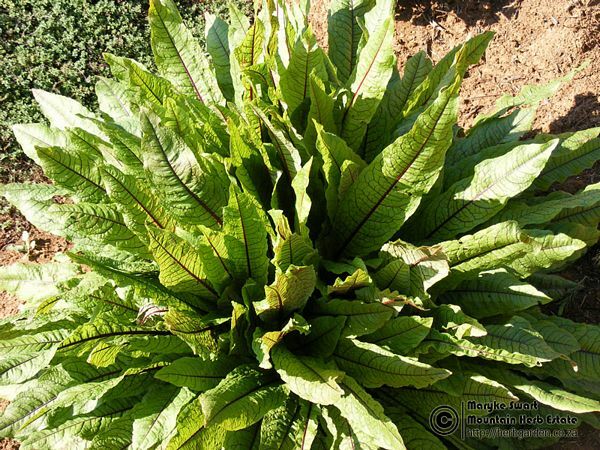 Young leaves are edible and taste like spinach or chard. Add an interesting color to salad.